> Kathy Fish is very dear to us here at SmokeLong. Though no longer on staff, Kathy’s legacy lives on through the annual Kathy Fish Fellowship Award. It was my pleasure to interview her about her chapbook Laughter, Applause, Laughter, Music, Applause, forthcoming from Rose Metal Press in January. 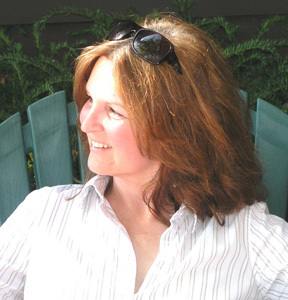 Kathy’s manuscript was a finalist in Rose Metal’s first annual short-short chapbook competition, judged by Ron Carlson. Read the entire interview here. >Love this interview and love Kathy Fish!